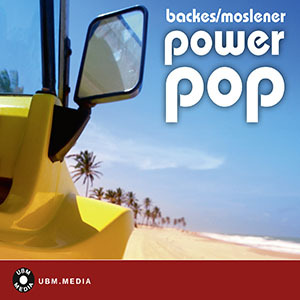 Various styles of energetic pop music: from funk to electro, from hardrock to catchy indiepop. Breakbeat and distorted electric guitar. Upbeat, energetic and straightforward. A funky guitar riff meets driving bass and guitar lines. Fast and sportive. Positive, funky mid-tempo jam. Ideal for daytime TV, sports and leisure. Brass accents and an infectiously groovy beat. Threatening and troublesome, this track evokes feelings of danger, panic, nervousness and time running out! Strings, drums and brass. Catchy pop punk tune for images of fun and partying. High-energy track with a steady beat, guitars and drum accents. Extremely danceable club track with sweeping synthies and a steady bass drum. Heavy guitars and mad drums define this track's aggressive, forceful character. Perfect for commercials and youthful programs. Repetetive guitar riff and a fun keyboard line. Nervous and steadily proceeding electro. Very powerful. Contemporary indie rock track. Uplifting, energetic and positive. Subtly strange cross-over rock track. Mid-tempo. Rising tension and danger. Electronic dance music with a slight 90s vibe. Catchy and straightforward. No-nonsense techno beat with fat synthies and electronic bits. A distinct bassline, steady drums and a psychedelic guitar solo characterize this powerful rock track. High-energy funky pop fusion sound. Works for sports but also kids' TV. Mid-tempo beat, rich in variety. Sparsely instrumented, cool and steadily in motion. Propulsive and dynamic with a positive undertone. Groovy guitars with some funk infusions. Electronic beat with synthies and electric guitar. Percussive break starts at 0:42.